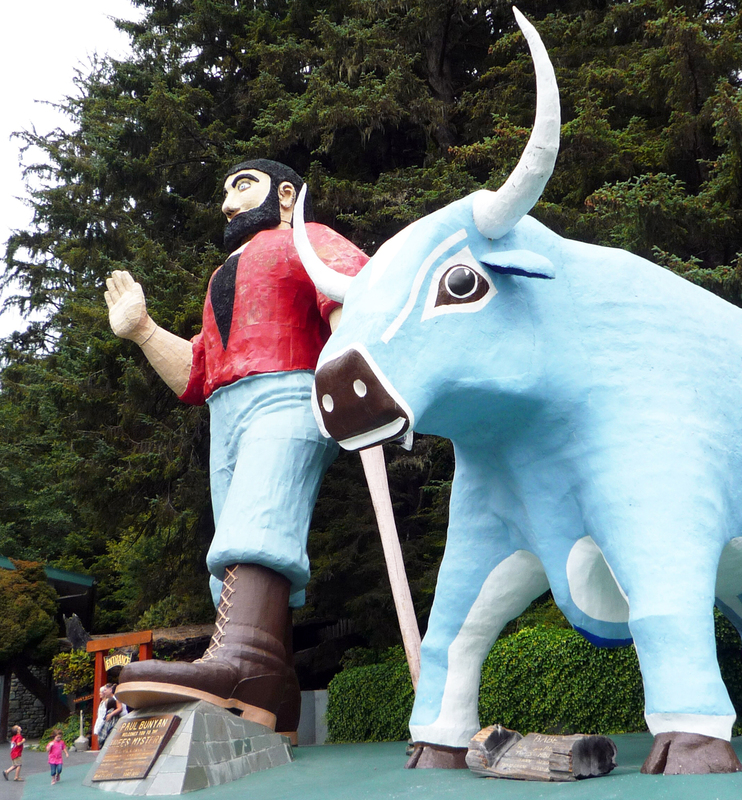 Paul Bunyan and Babe the Blue Ox at the Trees of Mystery. Entrance to the Timber Cove Inn. Note Bufano's 'Peace' statue on the right. 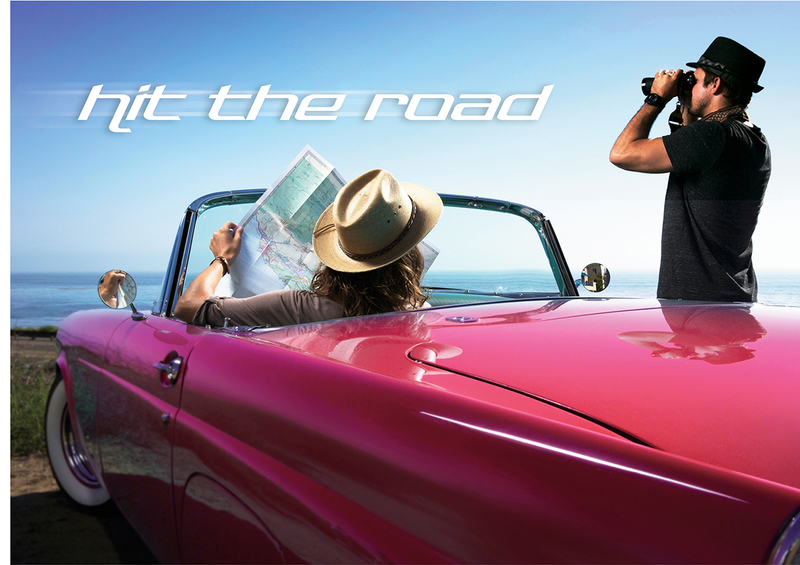 Summer's here—time to explore California on a retro road trip. Forget Google Maps, and turn off your GPS. In fact, leave your Tesla S in the garage, and go out and rent yourself a '58 Chevy Bel Air instead. Close your eyes and get back into a place where the Mystery Spot near Santa Cruz really was a mystery and where a tiny building topped with a giant donut beckoned like an oasis. Some years ago, as an aside, the New York Times scoffed that any traveler would be so unsophisticated as to consider stopping at something as apparently cheesy as the Trees of Mystery, a roadside attraction in upper Northern California. The Trees of Mystery, which dates to 1931, features a 50-foot-tall Paul Bunyan erected in 1961, along with Babe the Blue Ox. An aerial gondola wafts visitors through a redwood canopy, and there's a museum of Indian artifacts. An irritated reader protested, defending the Trees of Mystery as a delight. The Times' famed architectural critic Paul Goldberger would never have pooh-poohed the Trees of Mystery. He understood the appeal of such roadside attractions, "motels shaped like tepees, theme diners with garish neon signs, souvenir shacks squatting beneath oversized statues of cowboys, longhorn steers, and dinosaurs." "Especially in the West," he wrote, "where the monotony of the open road can extend hundreds of miles at a time, these tiny islands of capitalism subsist by offering something so wacky, so different, that you are enticed to pull over for an hour, or overnight, and spend a few bucks." Wacky roadside attractions aren't limited to commercial enterprises. One of the wildest, a few hours south of the mystery trees, is decidedly spiritual. 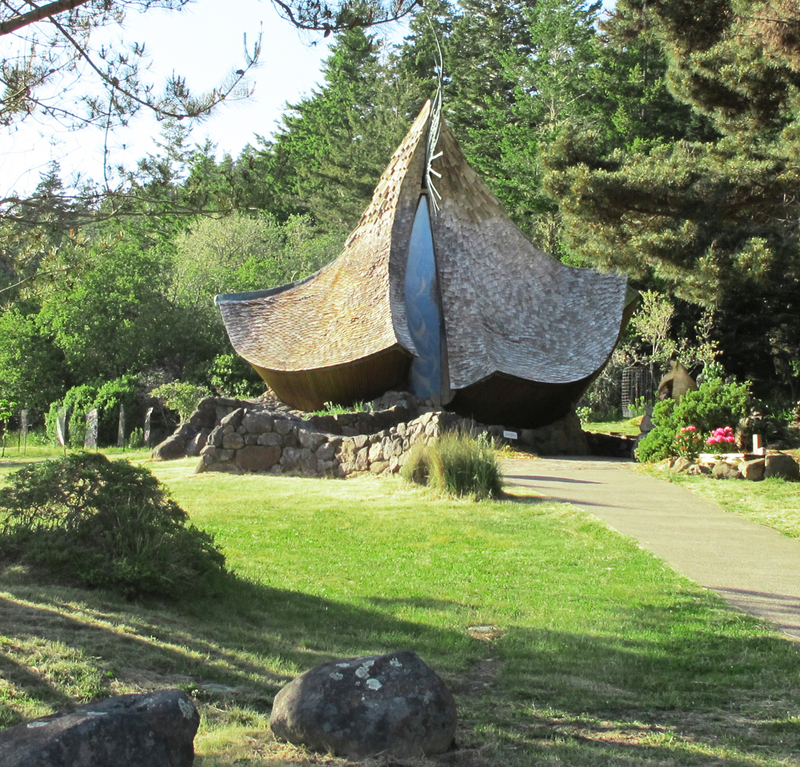 Sea Ranch Chapel, built in the early 1990s, "resembles a fluttering object that has landed in the meadowland between the ocean and the coastal mountains, a UFO that was summoned here and may one day take off again," architectural historian Sally Woodbridge observed. The diminutive chapel, of redwood, concrete, and stained glass, with a bronze fringe on top that suggests sea spray, was designed and built by artist James Hubbell. It's alongside the rustic mid-century modern community of Sea Ranch on the northern Sonoma Coast. 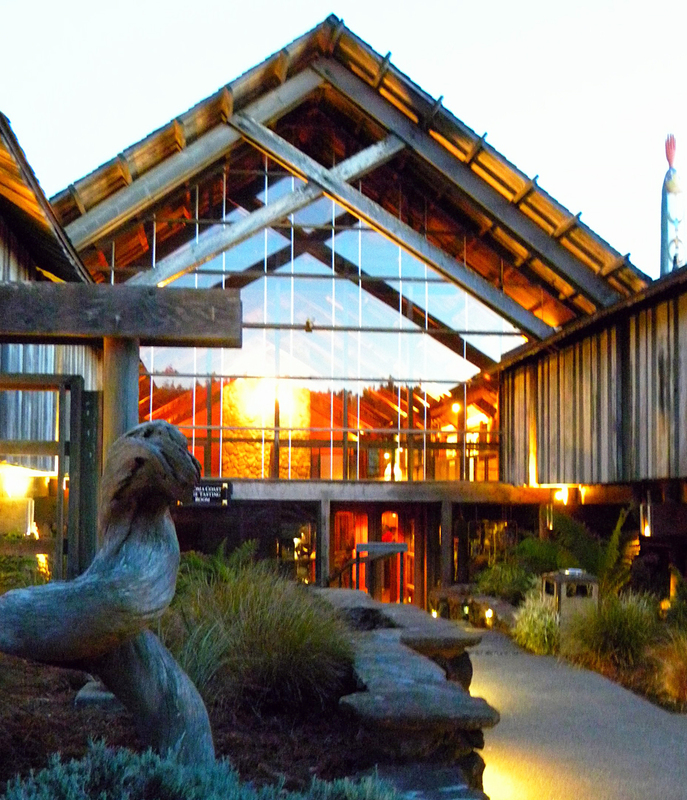 Just down the coast from Sea Ranch stands another monument to rustic modernism—the Timber Cove Inn. It was built in 1963, along with neighboring homes, as an artists' colony by Richard Van Giesen Clements, Jr., an environmentalist, builder, and utopian. Today, even if you don't spend the night, it's a great place to grab a bite or enjoy a drink in the Ahwahnee-modern styled interior. Bennie Bufano, a friend of Clements, installed his 70-foot-tall Monument to Peace alongside the Inn, like a beacon overlooking the Pacific.